What’s not to love about the healthy, gluten-free diet, right? Perhaps you feel less bloated and have more energy since going gluten-free. And, let’s face it – the cool kids are juicing, doing hot yoga, and living a gluten-free lifestyle, so why not you? Well, unless you’ve been diagnosed with Celiac disease, is it really a good idea for you to be avoiding wheat and other gluten containing products? Many of my patients who are intolerant to gluten have no idea why people follow a gluten-free diet by choice. 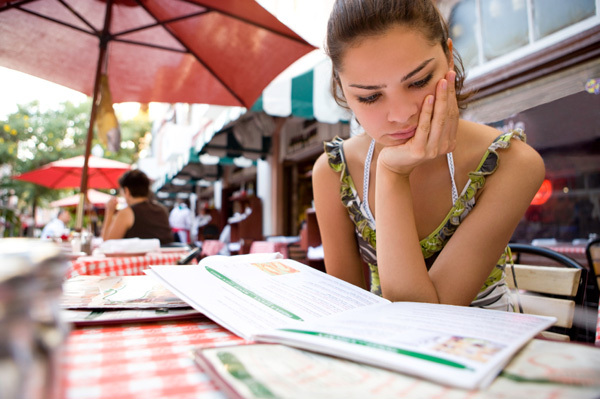 They often complain to me that their dietary plan is restrictive, expensive, and places a burden on their dating life. So why on earth has this diet become the latest trend? I think it’s time we chat about what gluten really is, why you “think” you feel better keeping it off your plate, and how a gluten-free lifestyle may affect your dating life. Today’s wheat is not even close to the wheat that Mother Nature provided us with. In fact, it’s been drastically transformed using modern technology and harmful chemicals to increase revenues for big corporations. Simply put, unregulated crossbreeding of wheat has led wheat to go wrong. Various man-made changes in our wheat supply have altered a protein called gliadin, which is a polypeptide present in gluten. The health problems that many people are facing today such as digestive issues, fatigue, inflammation, and skin problems, may be due to this artificially modified gliadin component. Although gliadin is present in crackers, breads, pastas, and baked goods made from barley, kamut, rye, or spelt, wheat remains the grain with the highest amount of this difficult-to-digest protein. So if gliadin is the real issue, what exactly is gluten? 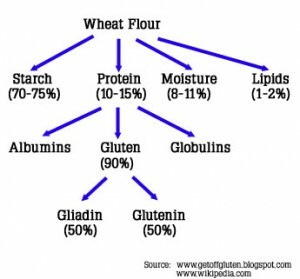 Gluten is a protein composite, made up of gliadin and glutenin. Quinoa, rice, amaranth, buckwheat, and millet are gluten-free grains, which do not contain gliadin protein. cause spikes in blood sugar, which can lead to type 2 diabetes, heart disease, weight gain, food cravings, and fatigue. People have this idea that “gluten-free” equates to “healthy”, so they’ll eat gluten-free treats like brownies or cookies, gluten-free chips, and gluten-free pasta like it’s going out of style. What they fail to realize is that these products should still be consumed in moderation and are not supportive of good health. may be uninterested, annoyed, or even turned-off. I’m not so sure how your dietary choices will affect your partner. But one thing is for sure, couples eat together so be prepared to explain why you gave up gluten in the first place. Eliminating gluten may be the best thing you can do for your health or it may not. At least now you know that living a gluten-free lifestyle goes far beyond fitting in with the cool kids.